'Leprechaun' is a corruption by the Mud People (human beings) of LEPrecon, an elite arm of the Lower Elements Police, the force responsible for internal and external security in the fairy world. The joke sums up neatly the special nature of this comic fantasy, which combines the ancient characters of myth and legend with a hi-tech James Bond clash between good and evil in the upper and nether worlds. Its fairy heroine is Captain Holly Short, an engaging LEPrecon operative whose courage and resource go with scant respect for the rule-book. Holly is abducted by hi-tech archcriminal Artemis Fowl, a Goldfinger of the human world, whose ambition is to finger some fairy gold. Artemis is just twelve years old, but his father's loss and his mother's breakdown have given him the chance to exercise his criminal genius before the Social Services find out about him. This precocious mastermind penetrates the hitherto unbroken secrets of the fairy world, and is able to use his ill-gotten expertise for kidnapping and extortion. The combined forces of leprechauns, sprites, dwarves, a super-scientific centaur called Foaly, and (very riskily) a troll, engage in a titanic battle of arms and wits with Artemis and his over-muscled bodyguard, one Butler. The book is simultaneously thriller, comedy and satire, intercut with some effective passing attacks on human eco-crimes such as pollution, which show why the fairies are wise to keep to themselves. 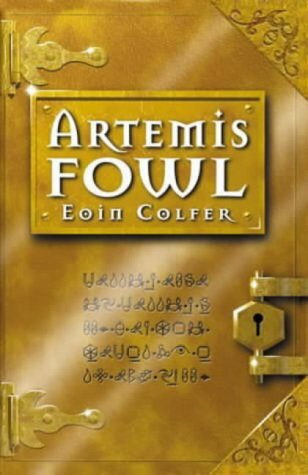 The novel's success (like Harry Potter's) comes from cleverly mixing genres, and it provides a very entertaining read for Artemis's age-group, whether criminals or not.